Next College Student Athlete is a for-profit organization that connects middle and high school student-athletes with college coaches. 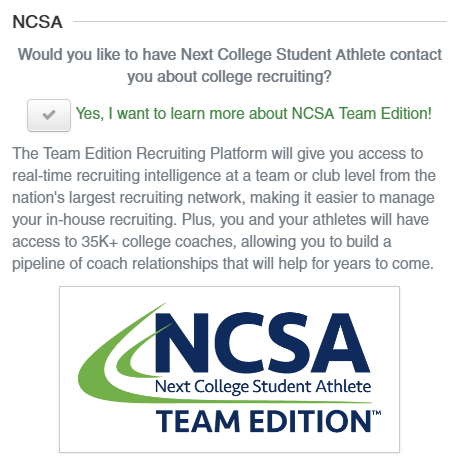 NCSA teaches middle and high school student-athletes about the college recruiting process. Exposure Events is fully integrated with NCSA Team Edition (www.ncsasports.org/team). NCSA Team Edition is a recruiting software for coaches and club administrators to keep track of the recruiting activity for all of their athletes. As a coach or administrator you can quickly see what schools are viewing your athletes, the schools your athletes are interested in, who is falling behind in their recruiting and much more. 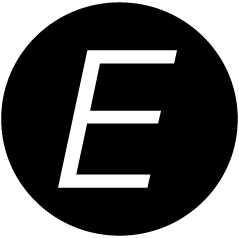 The Exposure integration allows event operators to offer free Team Edition accounts as part of the registration for their events. If you are interested in offering this as part of your event registration, see the Integrations setup article and select NCSA. Please contact NCSA (berlenbach@ncsasports.org) for your own API Key.